Okay guys, so another month has ended and it's time to take out the trash. 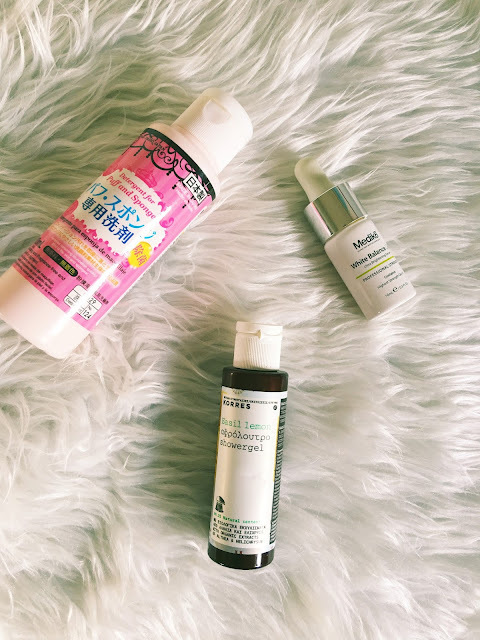 Sadly, again this month I found I didn't make it through as many products as January and February but this was probably due to trialling a lot of new products for blog posts which does effect how many items you can get through! Still, a pretty good effort I think. 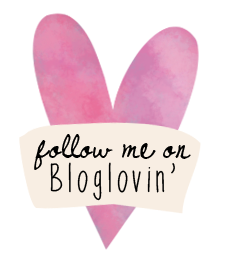 If you're keen to know what I worked my way through this month, keep reading! 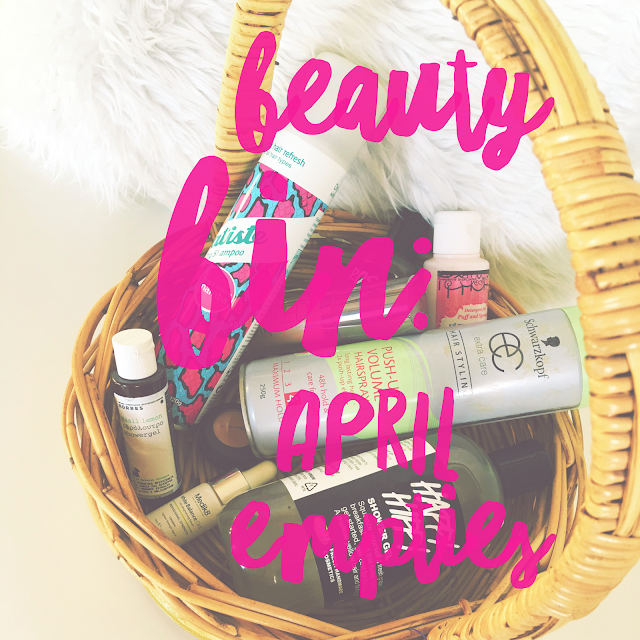 If you missed my Beauty Bin: March Empties, you can read them here. 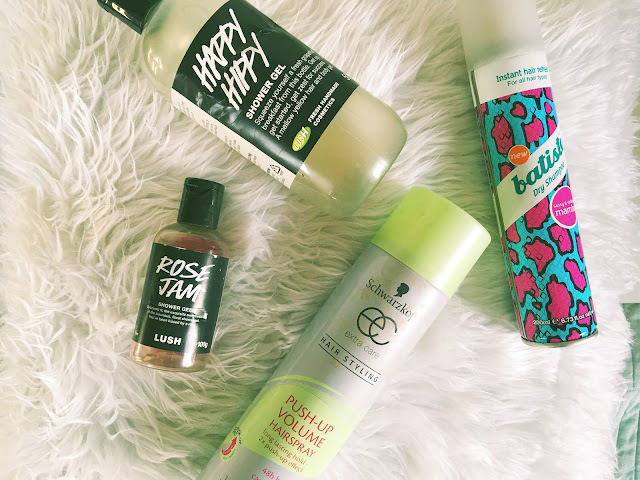 Lush Cosmetics Happy Hippy Shower Gel - This is a very refreshing shower gel that works great for both myself and my husband who also enjoys the fruity citrus scent. Main notes are grapefruit and lemon. Repurchase? Yes. I would definitely repurchase this but it's just so expensive for a shower gel, I only buy it every now and then. Lush Cosmetics Rose Jam Shower Gel - I got this in a Christmas gift pack from Lush here in Australia, but unfortunately it is not available all year round and sells out very quickly. I absoloutely love this scent and used it on my honeymoon throughout our trip so now it reminds me of that lovely time. So sad it's gone! Repurchase? Yes, when it's available! 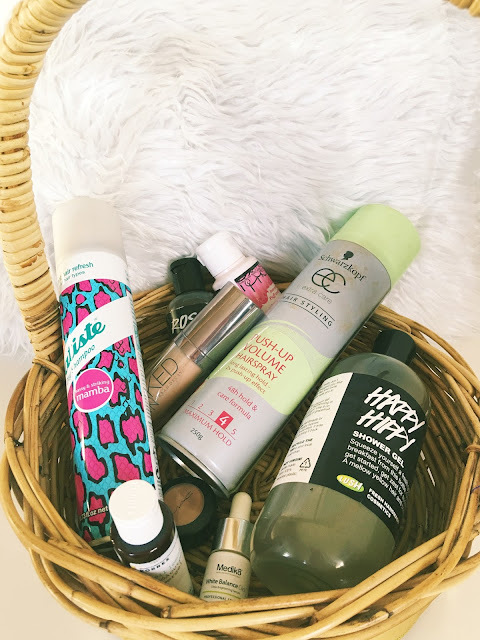 Batiste Dry Shampoo Mamba - I have not tried a dry shampoo yet that I like more than my trusty Batiste. When Priceline had their 40% off hair sale, I bought about 3 of these, and this scent is definitely my favourite which is a mixture of fruity and floral. I'm impressed I've gotten through the entire can but I do use it almost daily! Schwarzkopf Extra Care Push Up Volume Hairspray - My hair can be pretty flat so I really enjoy this hairspray as it gives a boost of volume and also keeps hairs in place without being too intense or feeling too hard in the hair. Super affordable and does the job. Repurchase? Yes. It's super cheap and available at Priceline. I have a few other hairsprays I'd like to get through first however. Daiso Detergent for Puff and Sponge - I've already talked about this product heaps, but this is what I use to clean my brushes and my beauty blender. I buy these a few bottles at a time, because the bottles are quite small but they work really well!!! Highly recommend for the low pricetag. Repurchase? Yes! Definite HG status. Korres Basil Lemon Shower Gel - I liked this shower gel, it was refreshing and earthy but nothing really too special. I received this as a gift and it was included in a gift pack with some other Korres products. Repurchase? Not this particular product but I'd like to try more from Korres. Medik8 White Balance Click Serum* - This is such a good serum for acne scarring and pigmentation. The pack I received included two mini bottles, so I still have another to use. The bottles are so tiny (10ml) because you add in the active ingredient but clicking the top of the nozzle, so the idea is to use it up quickly the serum stays active for as long as possible. I did find I used this up pretty quickly but I was using it almost every night because I find it works so well! It reduces pigmentation and redness extremely well. You can read more about this serum in my Serum 101 Post here. Repurchase? Yes. Once I get through my second mini bottle of this I will definitely be buying more. It works so well at evening out my skintone. 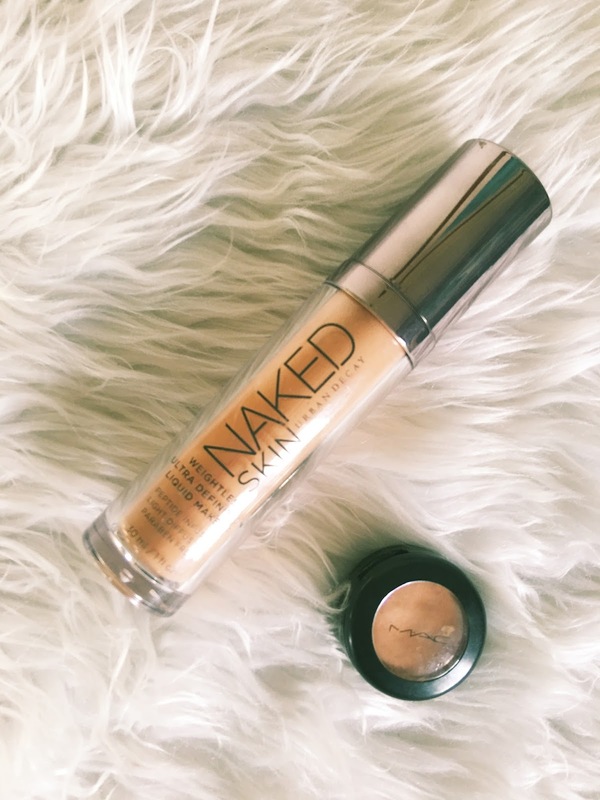 Urban Decay Naked Skin Foundation - I have a full review of this foundation which you can read here. 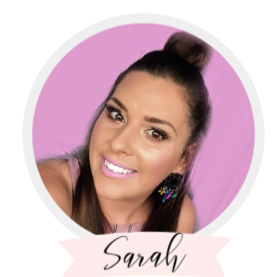 If you're too lazy to read that, all you need to know is that it provides flawless medium but buildable coverage and looks so natural on the skin, while still providing excellent coverage. MAC Cosmetics Studio Finish Concealer - I have had this for so long and there is probably a little product left in there but I hate this product so much I am binning it! It's one of the worst concealers I've ever used although I have heard many people rave on about it. It's supposed to be a highly concentrated concealer that provides opaque coverage, however I find it is way too thick and drying and comes off patchy on my skin and does not blend out evenly. I much prefer a liquid formula for my concealer with a wand applicator. I have the shade NC20 which was a decent match for me. 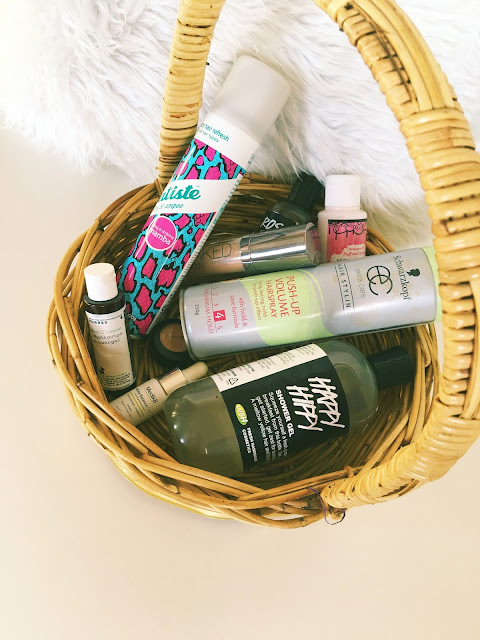 I hope you enjoyed hearing about my April Empties! It's been especially interesting for me doing this every month instead of waiting until my bin is absolutely overflowing and then having to do a gigantic post. I like seeing the things I run out of most quickly, which seems to be shower gels and hair products! It's amazing how hard it is to make your way completely through a makeup product. I tend to just get bored with something and then I want to move on to something else. Who wants a project pan update? You can read my original Project Pan post here. What products are you struggling to finish? If you've recently done an empties post, feel free to link it below!